Council has strategic partnerships with a number of organisations, groups and bodies throughout the community. REROC is a voluntary association of nine General Purpose Councils and two water county councils located in the eastern Riverina region of New South Wales, including the councils of Bland, Coolamon, Cootamundra-Gundagai, Greater Hume, Junee, Lockhart, Snowy Valleys, Temora, Wagga Wagga, Goldenfields Water and Riverina Water. Eastern Riverina Arts enriches, inspires and connects our region by fostering arts, culture, creative industry and community. They are the peak body for arts and cultural development in our region and are part of a network of arts organisations across regional New South Wales. Eastern Riverina Arts works in partnership with the 11 local government areas of Bland, Coolamon, Cootamundra-Gundagai, Hilltops, Lockhart, Snowy Valleys, Temora and Wagga Wagga. The Riverina Regional Library is the largest regional library service in NSW. It provides library services to approximately 137,700 constituents of 10 local government areas, those being the shires of Bland, Coolamon, Federation, Greater Hume, Cootamundra-Gundagai, Junee, Lockhart, Temora, Snowy Valleys and Wagga Wagga. Riverina Regional Tourism (RRT) is one of 13 Regional Tourism Organisations in NSW and is recognised as the peak Regional Tourism Organisation in the Riverina. The key role of the organisation is as a tourism marketing body for the Riverina. RRT is a member-based organisation consisting of membership from 12 Councils within the Riverina, including Carathool, Coolamon, Cootamundra-Gundagai, Griffith, Junee, Leeton, Lockhart, Narrandera, Temora, Wagga Wagga, Bland and Murrumbidgee. They were formed in 2002 after receiving $4.77 million in funding from the Australian Government’s Networking the Nation scheme. Their vision was to deliver more affordable telecommunications services to regional communities and to share their success with those communities. 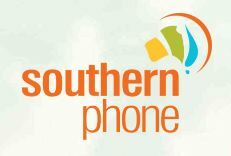 Under their Constitution, only Australian Local Government Councils can hold shares in Southern Phone Company Ltd. Their dividends are paid to Local Government shareholders and used for the benefit of local communities.